So one thing my car really needs is a brake upgrade. 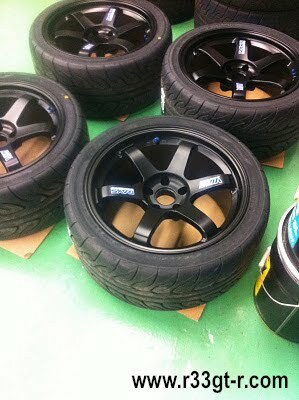 Which means that the stock 17s are pretty much useless if I want to add a big brake kit with rotors 355mm or larger. I've done a lot of research on the ideal brake caliper and rotor set up - initially I thought that the 355mm front (Brembo F50) and 322mm rear (R34 N1 spec using the stock rear 2 pot Brembos) was the best set up, as that is what I had been told by Tamura-san from Nissan. 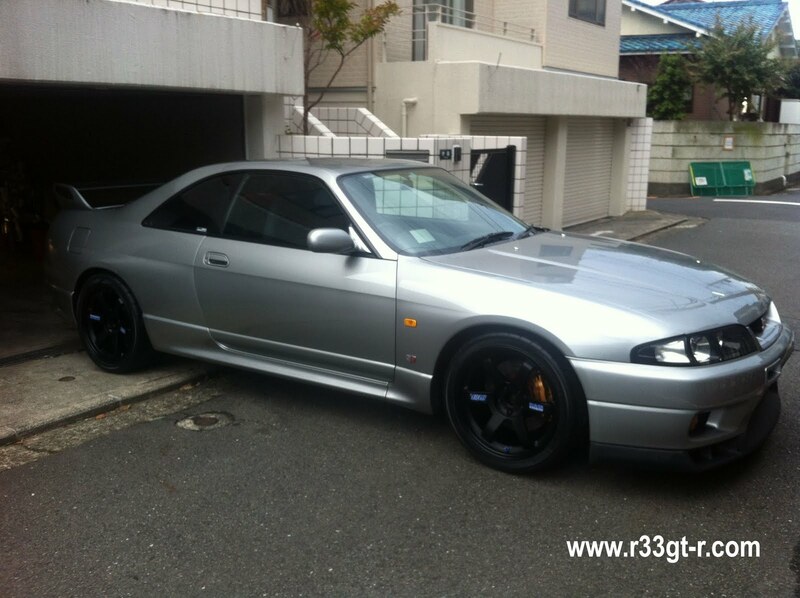 But then, Goto-san - who runs a very fast tuned BNR32 at the SSCT track days showed me his set up - and it was the 355mm up front, with the 350mm rear rotor from the V36 Skyline Coupe using the stock rear Brembos - and he swore the brake balance was perfect! Anyway, either way it was clear to me that I had to get larger wheels. 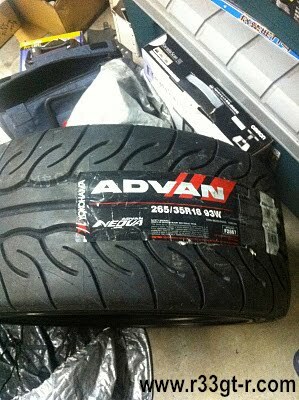 The RE30s have S-tire rubber on them, so I need something for the street. 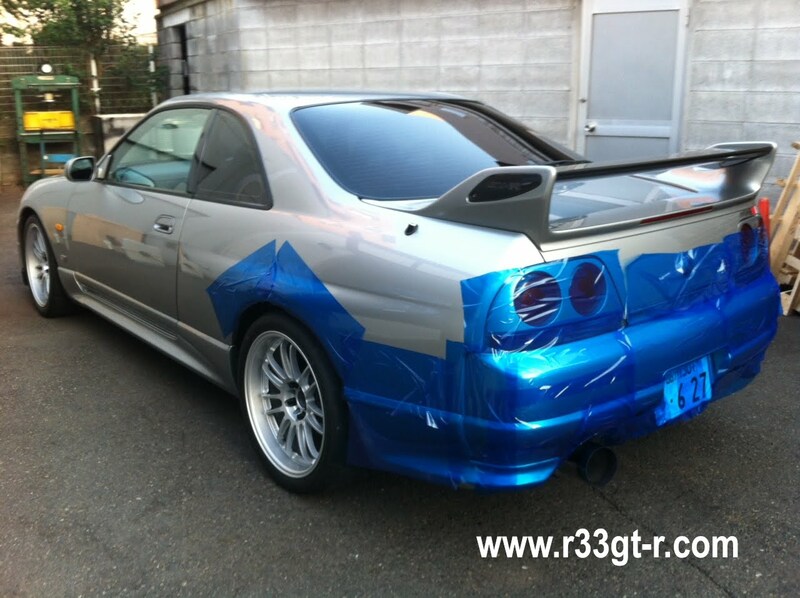 And this is how it looks on my car. What do you think? As for my brake upgrade - stay tuned, it will be interesting, I promise! Turns out DCD was in the neighborhood and so dropped by to check out what was going on with my car. He kindly sent over these photos he took - apparently not only is my car serving as an R&D testbed, but it will be featured in their catalog in the near future! Looks like they shoot photos at night? 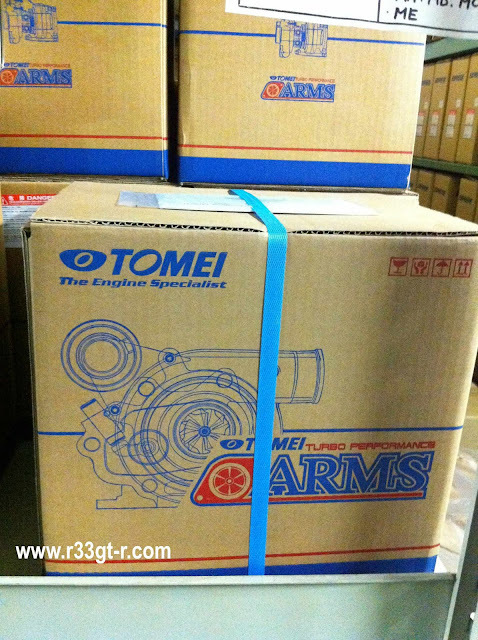 I’ll be releasing the official photos on this blog, with a description of what product Tomei has developed, very soon! Meanwhile, I am enjoying driving the Suzuki Swift Sport! Driving position (despite being Recaros!) doesn’t work for me and the plastics are cheap (but then heck so are the R33s) but really not bad for a small car! So I found myself at Tomei Powered again on Saturday morning. My buddy Allen wasn’t there, but his colleague Sakurai-san was there to greet me. He immediately set about inspecting my car for scratches, dings, etc. 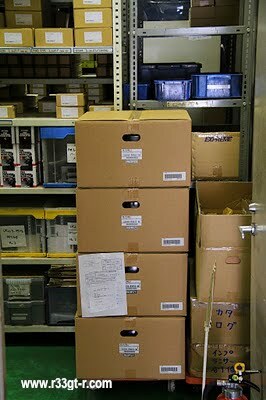 as Allen had apparently told everyone at Tomei that I was very OCD about my car. Anyway, once I had signed the very rental-car like pre-damage paperwork, they lent me one of their cars (a Suzuki Swift Sport) and I quickly drove home to attend to another event for my kid. 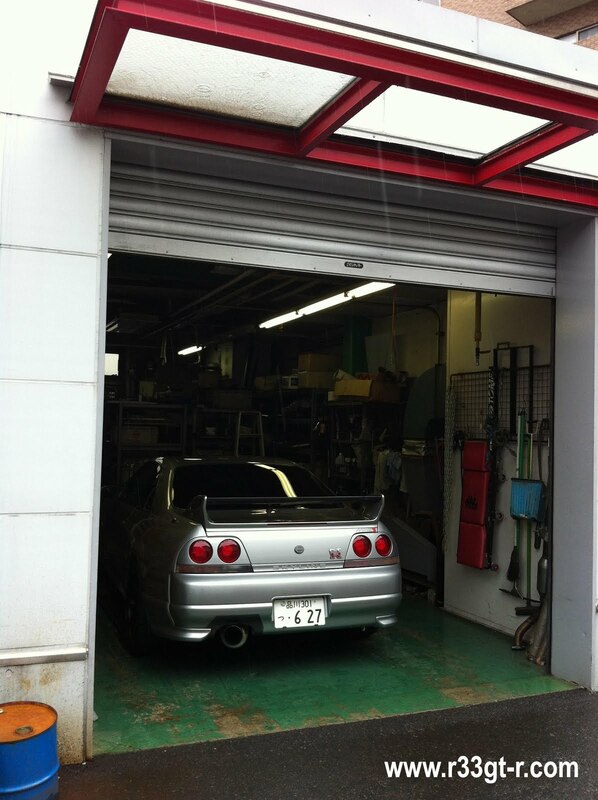 whereby I had previously left my car in Tomei’s good hands, shortly before the big earthquake here. Anyway, they needed my car for a week, and I am always happy to oblige – after all, the Mine’s engine in my car would not have been possible without certain choice bits from the Tomei catalog!